“The cure for anything is salt water — sweat, tears, or the sea.” -Karen Blixen, better known by her pen name Isak Dinesen, born on this date in 1885. Writing prompt: Write a scene in which your protagonist requires and takes all three variants of Dinesen’s salt water cure. “He was of the faith chiefly in the sense that the church he currently did not attend was Catholic.” -Kingsley Amis, born on this date in 1922. Writing prompt: Write a scene in which the nature of your protagonist’s religious faith becomes the subject of a discussion between people s/he’d rather not discuss the topic. 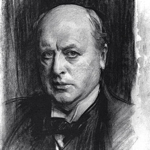 Henry James was born on this date in 1843. Writing prompt: Write a scene in which your protagonist discovers that s/he and a new acquaintance are from two nations separated by a common language. On this date in 1828, Noah Webster published the first dictionary of American English. Writing prompt: Write a scene in which inaccurate spelling causes your protagonist to suffer a dangerous crisis. 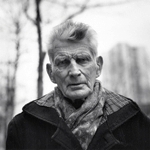 “Habit is a great deadener.” -Samuel Beckett, born on this date in 1906. Writing prompt: Write a scene in which your protagonist resolves to change a habit s/he discovers is deadening her/him.